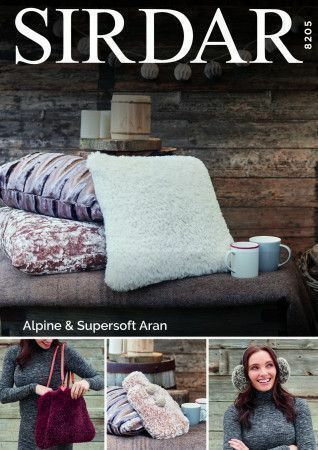 Cushion Cover, Bag, Ear Muffs and Hot Water Bottle Cover in Sirdar Alpine and Supersoft Aran. 36cm (14") Zip Fastener required. Lining Fabric and Leather Handles required. 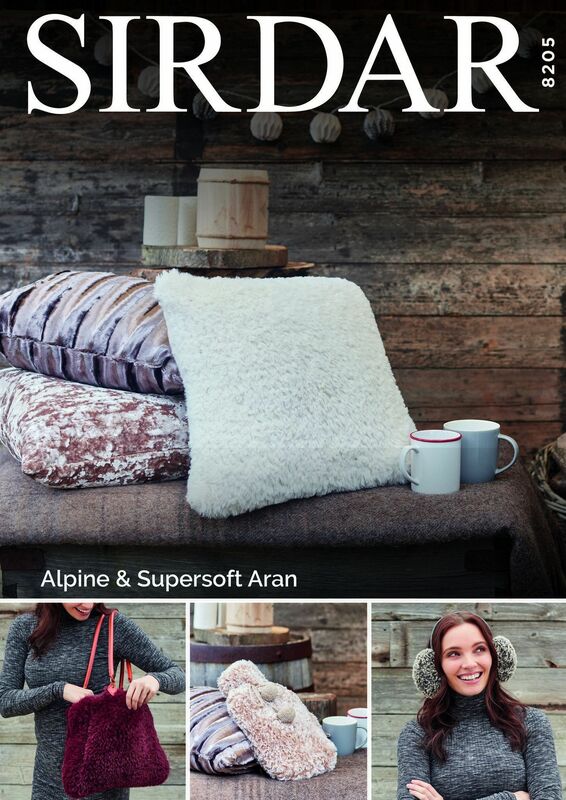 Fabric Headband and Washable Toy Filler required. Oddment of 15g required for Chino (921).